According to a rumor Heroic Hollywood has picked up, Will Smith’s character Deadshot, which we first see in next years Suicide Squad, is going to get a big part in the planned solo Batman movie with Ben Affleck. The both of them are supposed to team up against a bigger threat posed by Jared Leto’s Joker. I think it is pretty obvious that DC/WB got Will Smith for more than just a part in the Suicide Squad film, but I am not sure if I really want him as second lead in a Batman film. 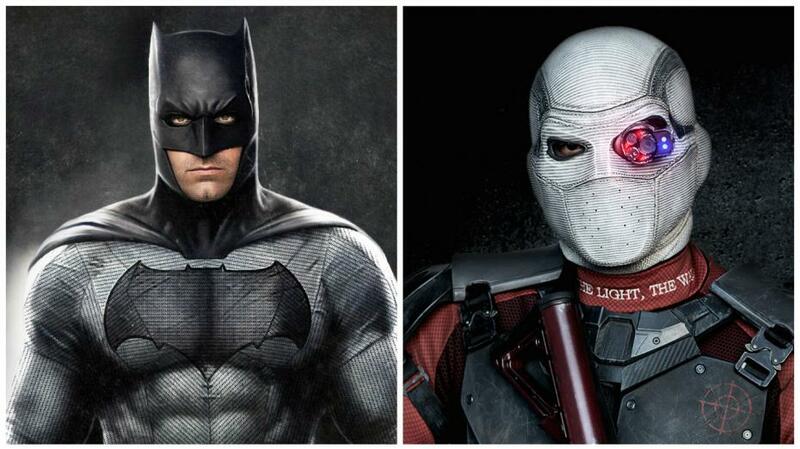 A cool action scene, guest appearance, sure… but Deadshot co-headlining a Batman movie? We’ll see. 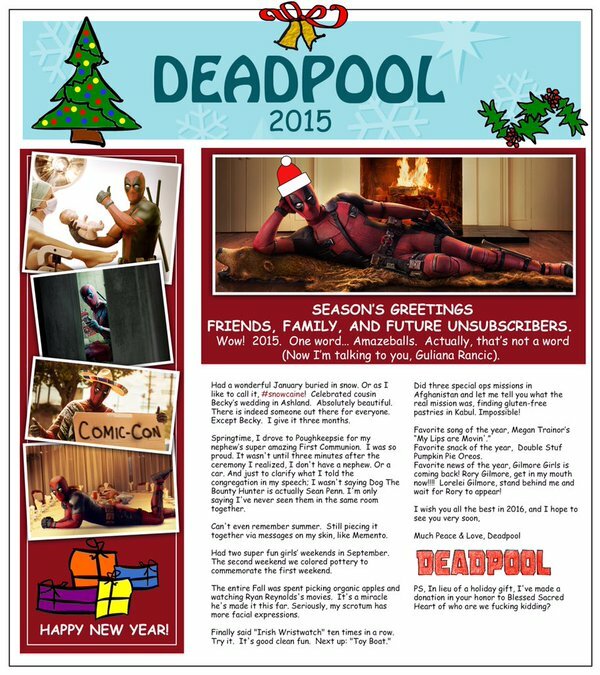 Deadpool himself, during his brilliant PR move titles 12 Days of Deadpool, e-mailed his fans this weekend with a nice little letter, which you can read above. He talks about his 2015 and wishes us all a great 2016. Deadpool starts his theatre run in February. Let me put it this way… there was a 12 year old version of me that LOVED Star Wars… that loved Star Wars almost as much as Batman (sacrilege, I know!). That guy saw the special editions in theatres, had a lot of the toys and read the extended universe books. That kid went into a coma when Phantom Menace came out and died with Attack of the Clones. I haven’t been a Star Wars fan since, even if I kinda liked Episode 3. Not even the trailers for Force Awakens hyped me. At all. Well… that part of me has been resurrected, while watching Episode VII. HOLY F***… what a GREAT movie. My 2nd favorite of the year, after the all mighty Fury Road (shiny and chrome!). Adam Driver STEALS the whole movie and Kylo Ren is my new favorite Star Wars character. The movie pulses with fun and excitement. Every joke lands and when it goes dark… it goes DARK. It truly is not afraid of dark places and I loved that. There are a few nitpicks I had, but overall I could not stop grinning from ear to ear, or tearing up. Abrams’ best movie to date (to me the only great movie he made outside of MI3) and a great modernisation and enhancement of the mythos. It might even be my favorite of the whole series, but I have to rewatch it again to say that with authority. So, yeah… I wasn’t hyped at all… a few weeks ago I wasn’t even excited about this… but I LOVED IT! 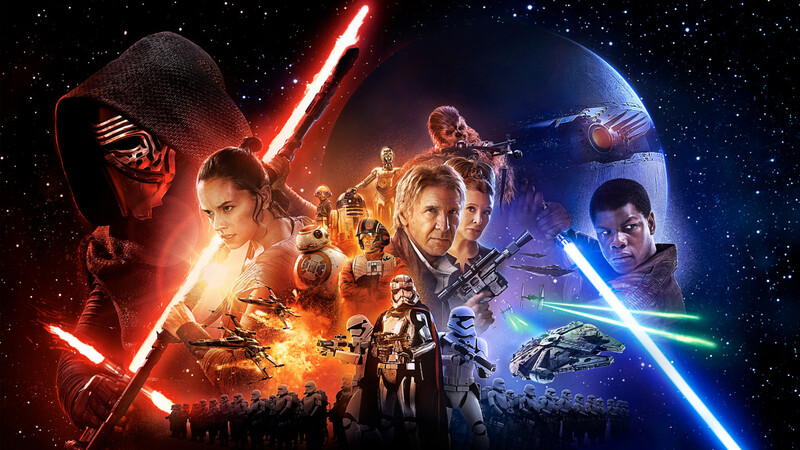 Star Wars is back and made $528 million on the first weekend, which is the biggest movie weekend ever! 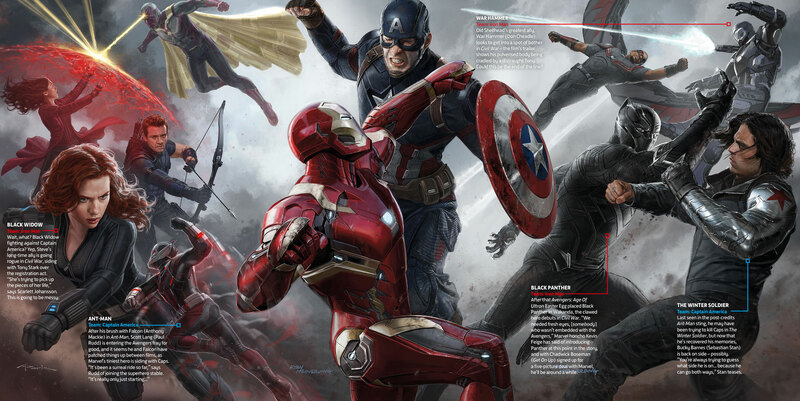 Marvel Studios has revealed a cool piece of movie art, from TotalFilm Magazine. It shows the heroes of the MCU squaring off against each other: Team Cap vs Team Iron! If someone can explain to me why Rhody’s War Machine is now called War Hammer, I would appreciate that. Did I miss something? Directed by Joe and Anthony Russo and starring Chris Evans, Robert Downey Jr., Scarlett Johansson, Anthony Mackie, Sebastian Stan and more, “Captain America: Civil War” opens May 6, 2016 and we cannot wait for it! 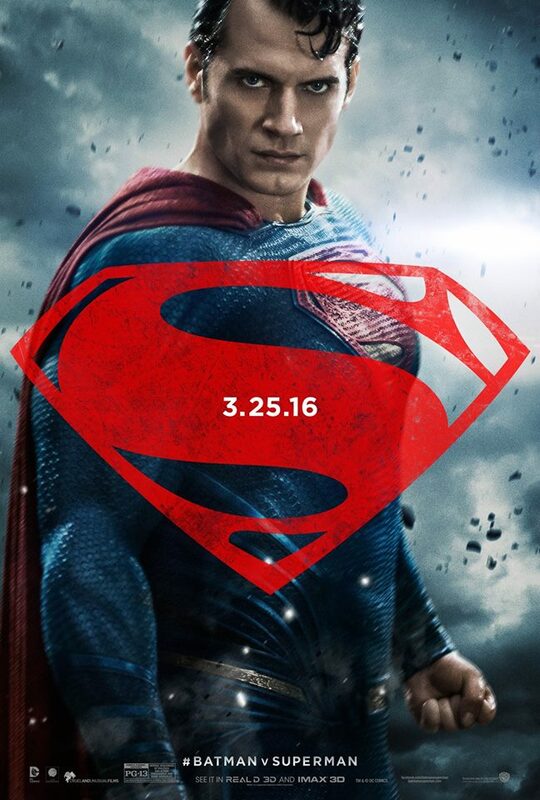 Batman v Superman: Dawn of Justice’s marketing is kicking into high gear now, with the movie (my most anticipated film of 2016 by far!) only three months away now! OHMYGOD!!! 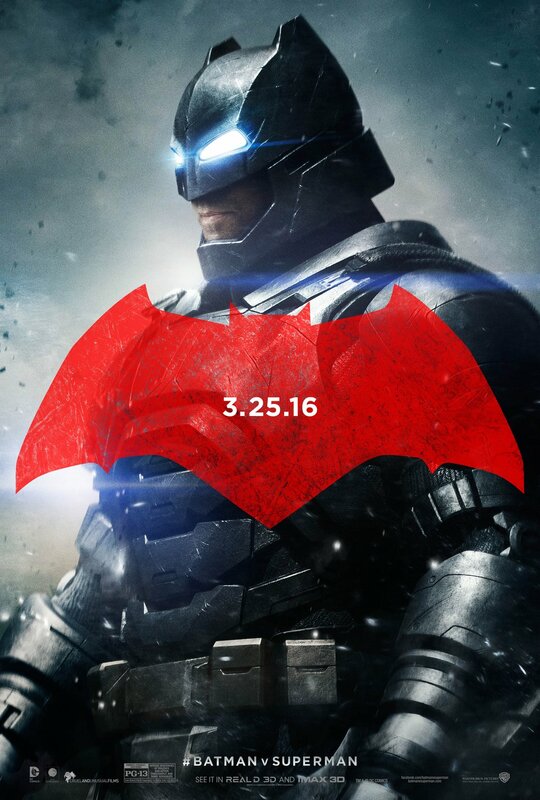 Anyway… WB/DC released three very cool posters for the main heroes of the film, which you can check out above. 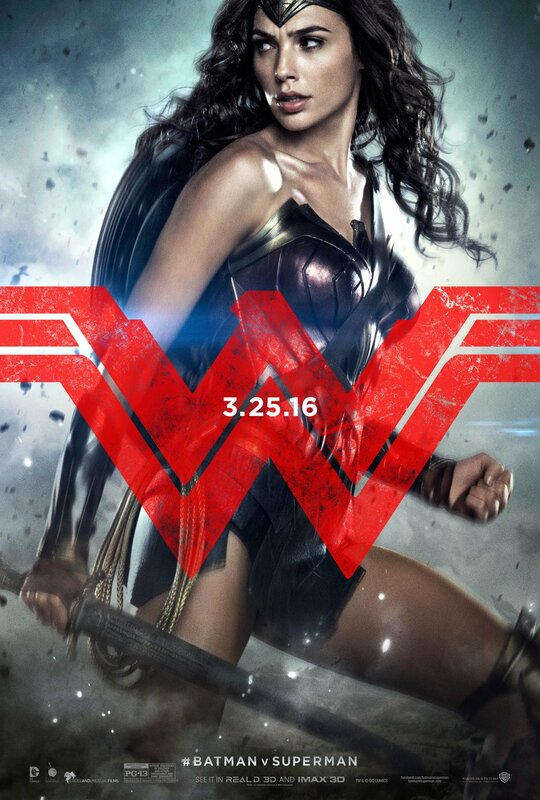 It makes me even more excited to see Gal Gadot as Wonder Woman, because DAYUM does she look great in that suit! There were also more interviews with Batman and Superman themselves, Ben Affleck and Henry Cavill respectively. The runtime for the film has also been revealed, when ticket sales for the film started in Germany last weekend. BvS is going to run 2 hours and 31 minutes (151 minutes), which is close to the run times of the last three Batman films. 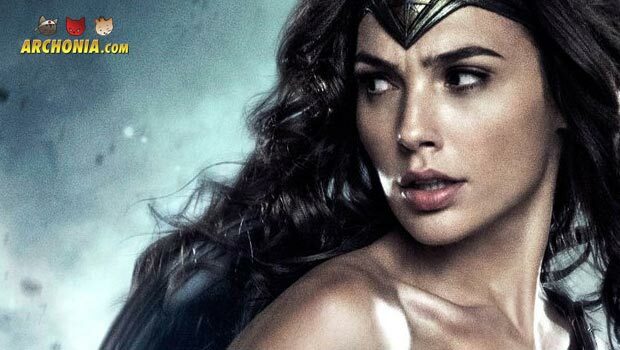 Nicole Kidman, originally cast for an unspecified role in the now currently shooting Wonder Woman movie, has to drop out of the production due to a scheduling conflict on her side. Robin Wright, Claire Underwood from House of Cards, is probably going to replace her, as reported by Variety’s Justin Kroll. Wright had also already been cast in another unspecified role for the film, but will now take on Kidman’s meatier role instead. 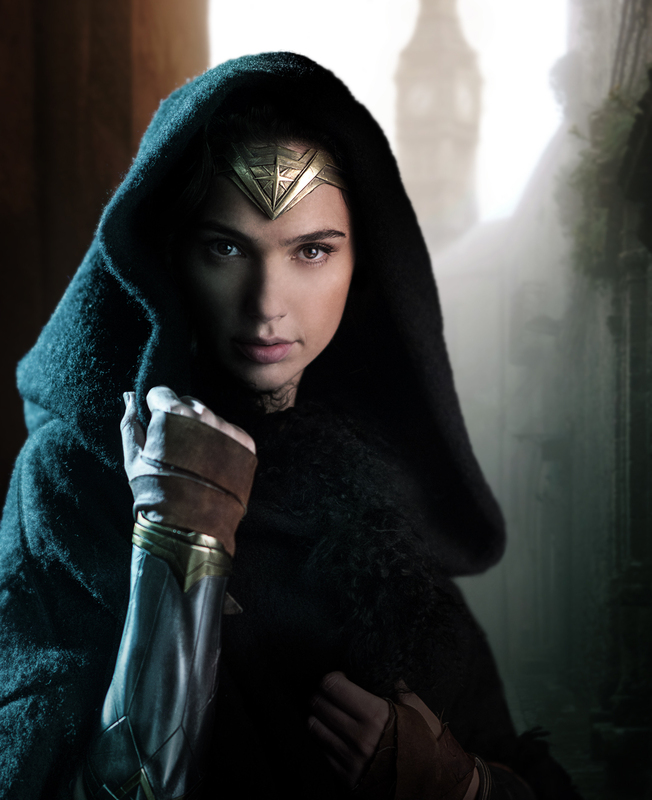 Rumors and common sense suggest that role is probably either going to be Diana’s mother Hippolyta, or greek goddess Hera. I don’t know if you guys are excited about this, but I am, so thems the brakes. Twin Peaks, early 90s cult TV show comes back next year with the original cast and director/maniac David Lynch attached. After two seasons and a movie Twin Peaks fire burned out bright and quickly, but we get another helping of that gum you liked, thats going to come back in style. **That’s a damn fine cup of coffee **and sometimes my arms bend backwards.